A faction of attorneys general from Washington state, New York, Massachusetts, Connecticut, New Jersey, Pennsylvania, Oregon, Maryland and DC are suing the Trump administration to block a Texas company from publishing blueprints for 3D-printed guns. Yes, the world is a hellscape. The Associated Press reports that 1,000 people have already downloaded blueprints for AR-15 rifles. 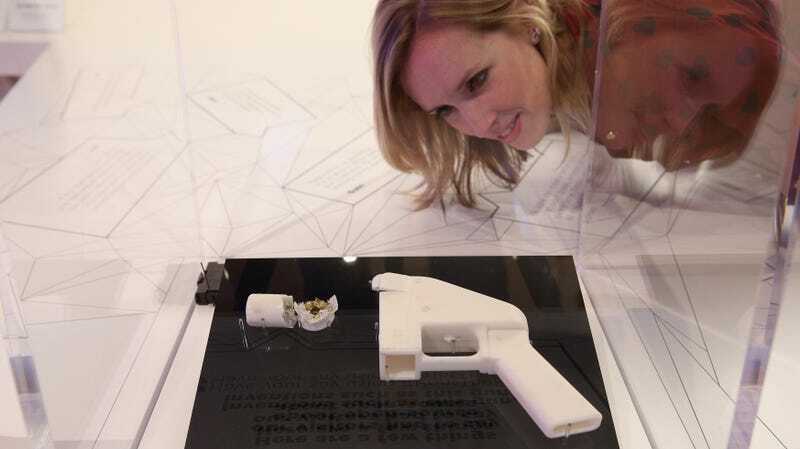 Defense Distributed announced it plans to make 3D gun blueprints — including a single-shot pistol called “The Liberator,” an AR-15 lower receiver, and a complete Beretta M9 handgun — available on Aug. 1, after reaching a settlement with the federal government. It was the conclusion of a five-year legal battle in which the Obama administration had argued that the Internet tutorials and manuals violated firearm export laws, while the company’s owner, Cody Wilson alleged the State Department was violating his First Amendment right to free speech and Second Amendment right to bear arms. The two sides reached an agreement in June but details of the settlement didn’t emerge until mid-July. In addition to granting Wilson permission to publicly release the files online, the government also agreed “to pay nearly $40,000" in legal fees for Wilson, according to The New York Times.